After trying few of Nirvaaha soon to be called Mitti se products, I must say it is one of the best affordable, natural brands that provide natural yet effective products. My hair tends to fall due to weather changes and I love how well Nirvaaha hair oil treats them. 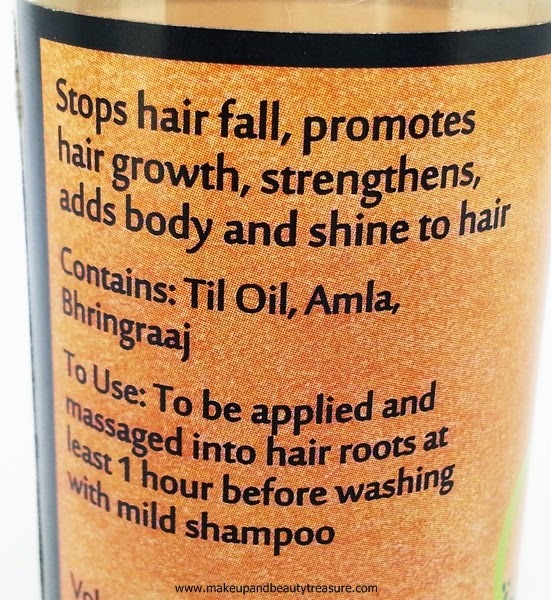 Today I am going to review Nirvaaha Herbal Hair Oil. 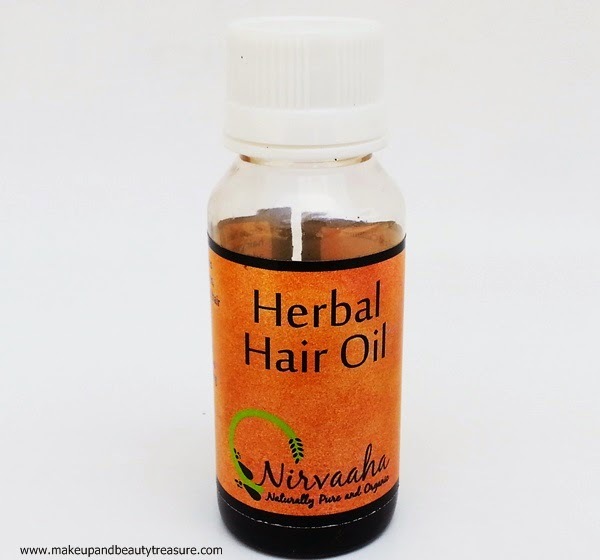 Nirvaaha Herbal Hair Oil comes in a small, clear plastic bottle with a white screw lid. The lid itself comes sealed to ensure that the product has not been opened or used. 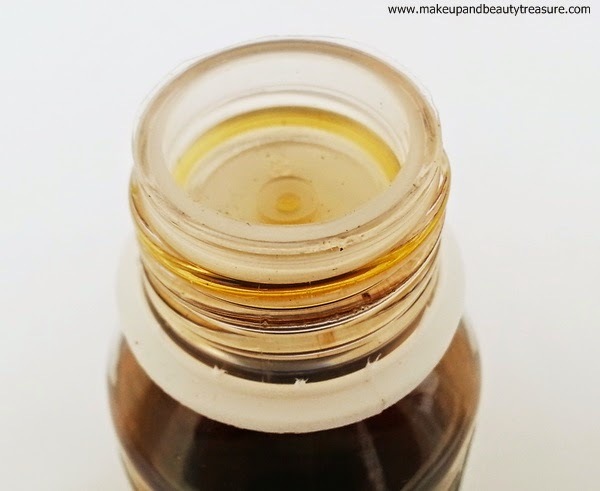 There is a plastic stopper inside the lid that allows you to make a hole and pour oil drop wise. It is quite light and can be easily carried around in a bag without any fear of leakage or spillage. The hair oil looks dark brown in color but comes out quite light. The scent is very light, herbal and hardly noticeable. The consistency of the hair oil is perfect. It is neither very thick nor very runny. It is quite light and does not feel heavy or greasy. Instead of warming it up, I apply it directly onto my scalp and hair. I then massage it gently using my fingers and leave it overnight to get utmost results out of it. The scent does not tend to intensify and remains mild. I feel it penetrates the hair shaft and not just coat the hair. 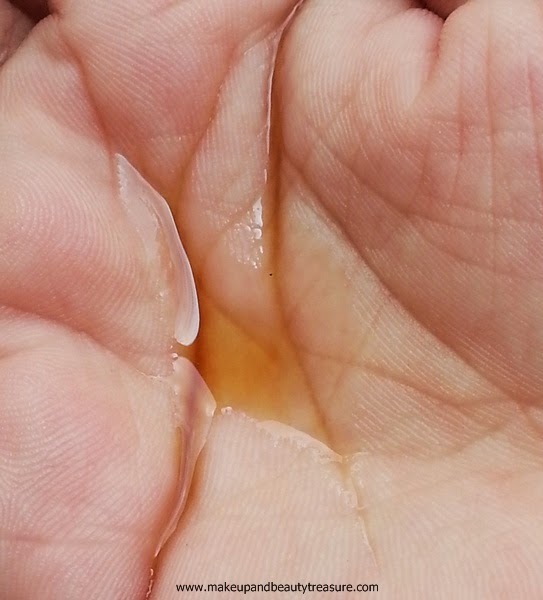 The hair oil is easy to rinse and does not leave my hair greasy or limp. My hair feels soft, smooth, shiny, healthy and manageable with the first few uses. With continuous usage for over two months, my hair fall almost stopped (I lose 3-4 strands each time I comb my hair except when weather changes!) leaving my dry ends soft and hydrated. It also helps in reducing hair loss, hair thinning, promotes hair growth and prevents pre mature graying. I could actually see a visible difference in hair growth after using this oil. I have slightly bald patch at the front and tiny sprouts of hair are noticeable. It is 100% natural oil and can be used daily. It nourishes my hair really well and imparts a healthy shine to it. It contains amla, sesame oil and bhringraj powder. It is 100% natural and does not contain preservatives and parabens. • Less quantity in the bottle. Nirvaaha Herbal Hair Oil is natural and effective hair oil that not only makes hair healthy but also promotes hair growth. It smells herbal which is very light and prevents pre mature graying. If you are looking something for promoting hair growth then I would highly recommend this hair oil to you! 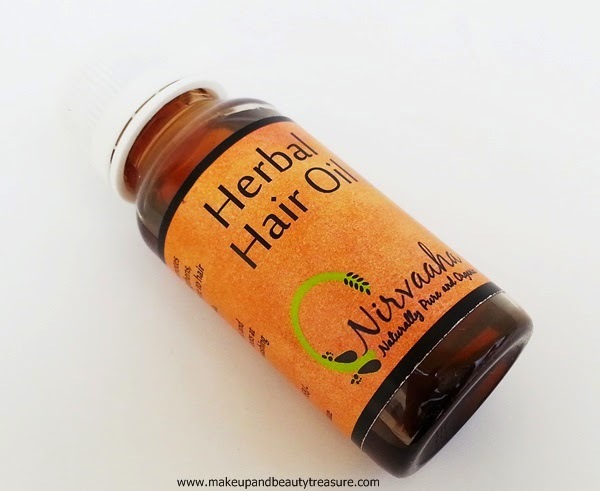 Have you tried Nirvaaha Herbal Hair Oil? How was your experience? Share in the comments section below!